Zimbra backup on a user side allows backing up mailbox and other application data from Zimbra desktop client. It must be separated with Zimbra server backup, a completely different task. Handy Backup allows saving Zimbra in a “hot” mode, including backup Zimbra mail server content. Zimbra software for Windows creates a folder containing all components and settings of the local program dataset. A user can save this folder with Handy Backup, using the standard “Computer” data source, to backup Zimbra, and then return the content of this folder to its place to restore data. Different methods and settings of backing up, preserving time, space and security of data. To allow Zimbra backup mailbox and other data with Handy Backup, you can create a task that will do this action automatically every time when you will start it. For further automation, you can also schedule the repeated start of this task for a planned period. Let us explain how to make it. Open Handy Backup. 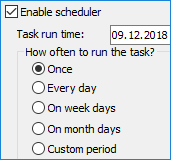 Start a New Task Wizard by clicking a button or a menu item. Select a backup task. On a Step 2, double-click on a “Computer” data source on a left panel. 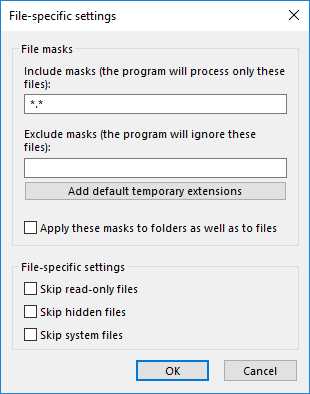 Note: For non-standard installations and in some other cases, it is also possible to use “File filters…” option on a Step 2, with including all files and folder names containing a mask “*zimbra*” into a backup set. You can add some of these files and folders or remove it from backups by marking with a “+”. Then click “OK” and proceed to next steps. 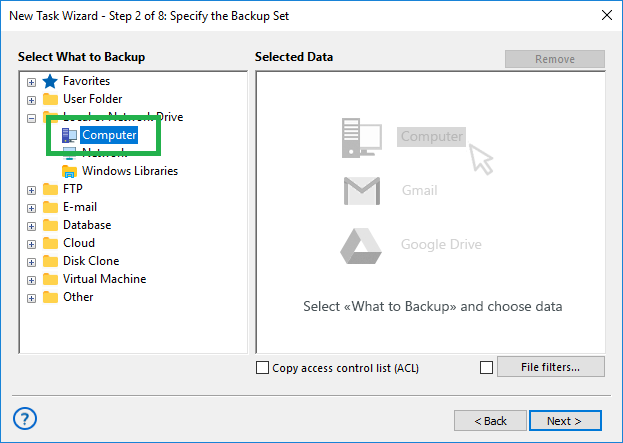 Choose a storage for backups on a Step 3. 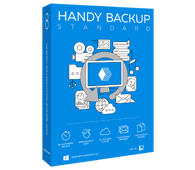 Select a backup method, versioned backup options, compression and encryption if you need. On a Step 6, set up the interval for running the Zimbra backup task automatically. Skip a Step 7 if you do not need to run other apps with Zimbra backup. Finally, name your task. That is all; your Handy Backup task for Zimbra mail backup is ready to use. Run it manually or set a period for a task to perform an automatic execution. The program will create a copy of your Zimbra folder in a storage specified for a task on a Step 3. The Standard edition contains all the instruments you need for Zimbra backup on a client side, including Zimbra backup mailbox, calendar, events, contacts and settings. Free 30-days trial! You can create a restoration task by just the same way as a backup task, using the same GUI and almost the same other operations to do it. Alternatively, you can just copy a Zimbra folder or its components by any file browser to a default location of Zimbra client folder. Try Handy Backup to take a personal experience with effective and fast Zimbra backup on a client side!